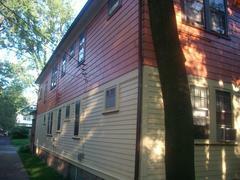 Exterior Painting – You can be assured of our dependability. We arrive at the time given. 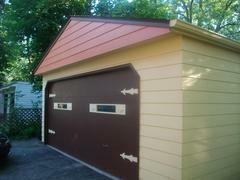 Your first painting priority should be the exterior. The exterior of your home is its protection from the elements, and deserves careful protection. When the paint shell is intact and all cracks are caulked (and the roof is in good condition without leaks), the integrity of the structure is protected from water damage, thus protecting the finish and decoration of the rooms inside. Preparation is key to a superior paint job. 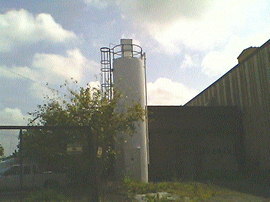 Pressure washing, scraping and sanding a dirty and peeling surface allows the primer to adhere properly. Dirt or oily deposits (from nearby traffic) on the surface interfere with adhesion, as does salt - always in the air in this area. Pressure washing saves time and effort scraping and sanding. Though proper prep can take longer and cost more (depending on the condition of the house) than a coat of paint, it is necessary to the beauty and longevity of the finished paint. D&D Painting preps carefully, often catching unrelated problems in the structure and bringing them to the homeowner's attention so that they can be fixed. After the prime coat, at times, careful caulking is important for keeping the water out and heat in. 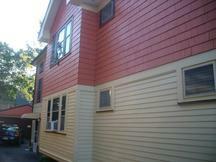 From windows to doors, from gutters to chimneys, D&D Painting can take care of the details of your house's exterior. 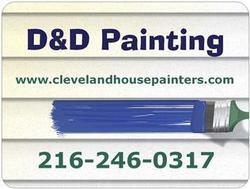 D&D Painting serving Northeast Ohio - Cuyahoga, Lorain, Lake, Summit Counties. 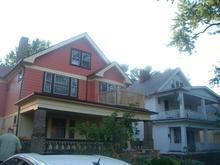 Exterior Painting – Attention to detail gives a beautiful finish to the exterior painting. 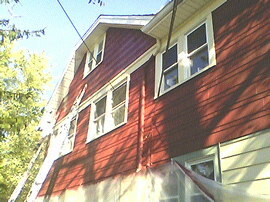 Careful prep work, a prime coat and two top coats result in even color, a velvet finish and neat, crisp exterior. Neatness counts! 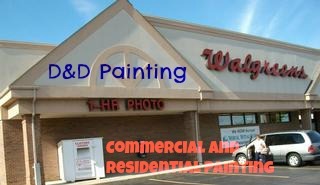 At D & Painting we respect your home. Trees, bushes, walkways, etc are covered. 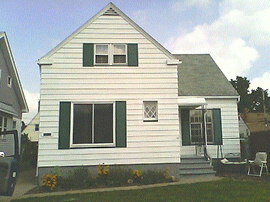 Preparation is key to a superior house painting job. The hours of prep work give the finish that finished look. At D & Painting, we like to do a thorough job, with attention to detail. We scrape, repair and sand until it's smooth, then put it back together with attention to every step. After meticulous prep work, we apply primer and two top coats. 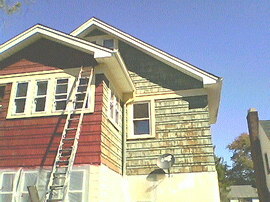 The primer seals and allows the first top coat to adhere. 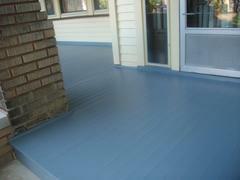 The second top coat gives the home a finished, complete look, with smooth even color and texture. Double priming may be needed in some circumstances, such as when changing colors, or when the walls are very dry. A third top coat is sometimes needed when changing to a darker color. 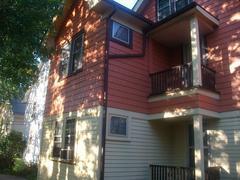 If you need a house painter to turn your home into a beautiful retreat, feel free to call us. 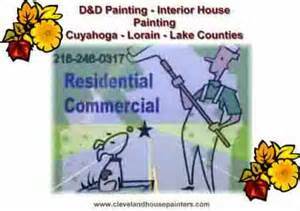 Cleveland House Painters, Inc. covers every aspect of property maintenance, including but not limited to interior/exterior house painting, drywall, pressure washing, gutter cleaning, and more. 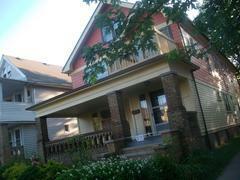 Exterior Painting Prep is Important! 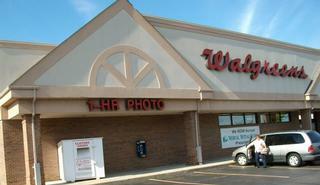 It’s a fact - heat, cold, moisture, and dirt are primary causes for paint to fail. Therefore, prep work is especially important when painting in Cleveland, since the weather is really taking a tall on the exterior surfaces. So before painting any surface we make sure it’s clean, dry and dull. 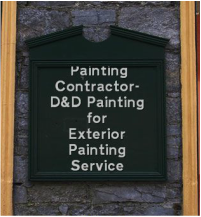 The Painting Contractors of Cleveland, D&D Painting, are available to answer your questions, view our FAQ page, or email us direct, using our Contact page. Most of the time we will clean the siding, eves, trim and other exterior surfaces with power-washer to remove dirt, lose paint, mildew (mildew has to be treated with diluted bleach and special cleaner before power-washing), etc. After a few days of drying we will tape, tarp, and protect all roofs, grounds and surrounding surfaces and start on the preparation of the surfaces. Usual preparation involves scraping, caulking, sanding, and priming – before the final coat of exterior house paint is applied. 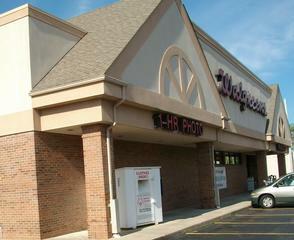 •Experienced: Our painters average over 35 years of experience! 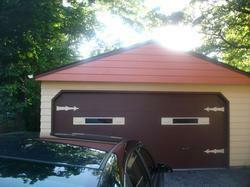 We give you ideas on what color to choose for an exterior painting job. With our knowledge about colors we can create the most attractive look for your home which will automatically increase the value. Having a contrast between the trims, entrance door and the siding is another way to increase the look of your home by an exterior painting project. Add to the sparkle with Interior Painting and touch ups. View our Customers Testimonials page, to view their fine comments. We believe painting is an art from, our top priority is to give your dreams a real vision, a sight to see, the color of life! Joy from our hands, and our heart to your home.